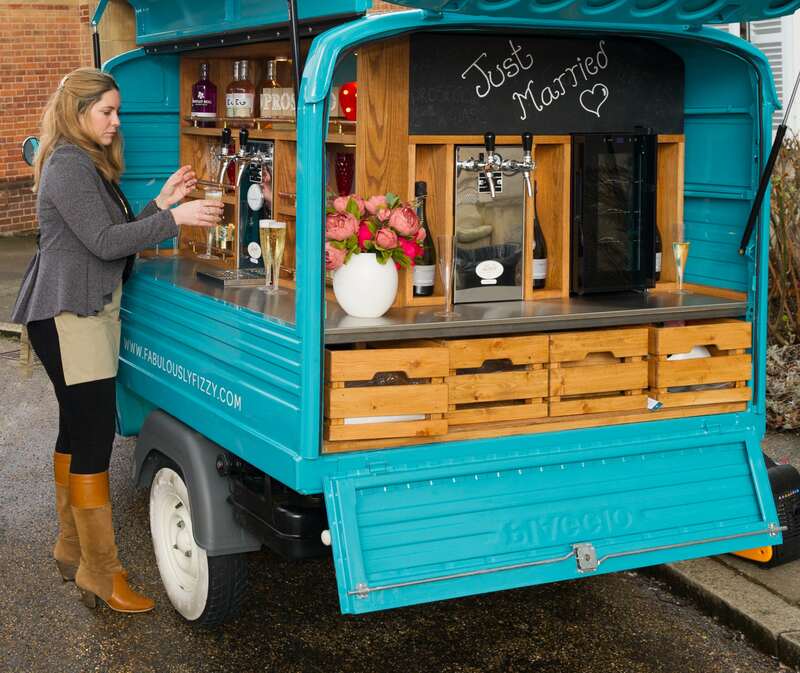 Fabulously Fizzy is a delightful and elegant Prosecco van serving deliciously chilled Prosecco on tap. This boutique little pop-up fizz bar brings flute-loads of fun to any event, be it a large festival, corporate function or a private party or wedding. 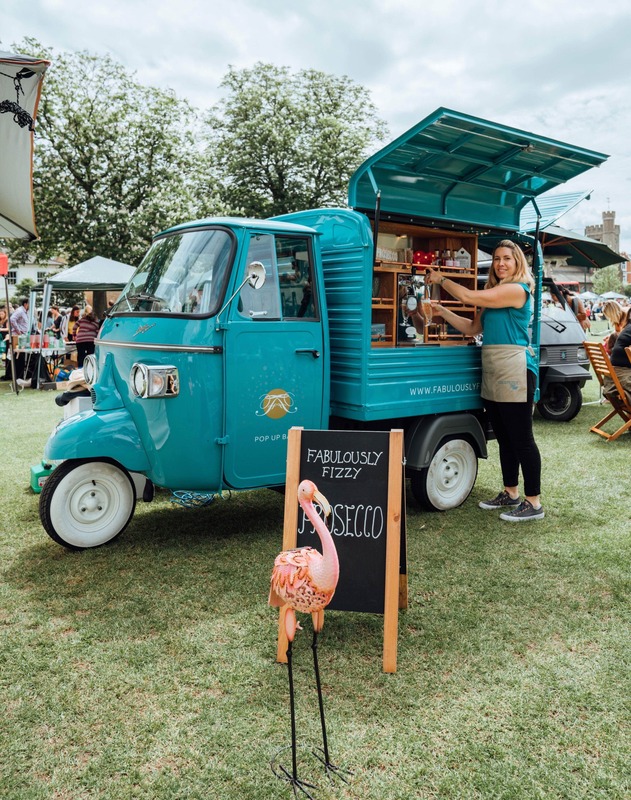 Chic and incredibly bubbly, Fabulously Fizzy is a lovingly converted iconic Piaggio Ape Classic (tuk-tuk) van, transforming her into an eye-catching and crowd-pleasing Prosecco van oozing style and fizzazz! A double dispensing and flash-cooling system, complete with four serving taps, and a wine fridge means we can provide guests with fizz by the glass or bottle, as well as beer (if required) from her two bars. They also pimp their prosecco with delicious fruit flavoured gin and vodka liqueurs – guaranteeing fabulous fizz for any type of celebration! 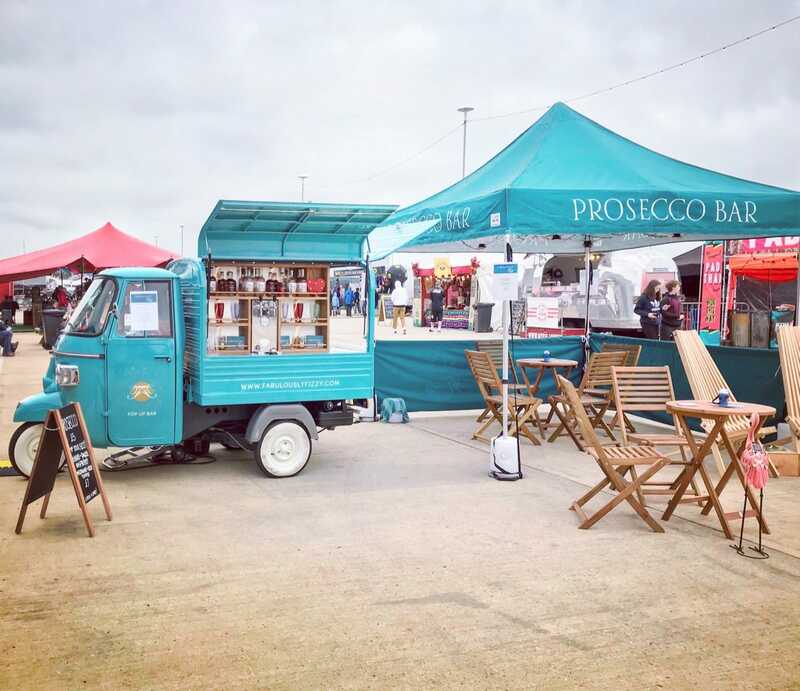 Fabulously Fizzy can also come as a fully equipped Prosecco bar, either on her own, or in addition to the Prosecco van. Using exactly the same double dispensing flash cooling system, so you receive the same Prosecco experience! If you like the look of this delightful blue Piaggio, then book them here on Feast It, the Fabulously Fizzy team would love to come along!